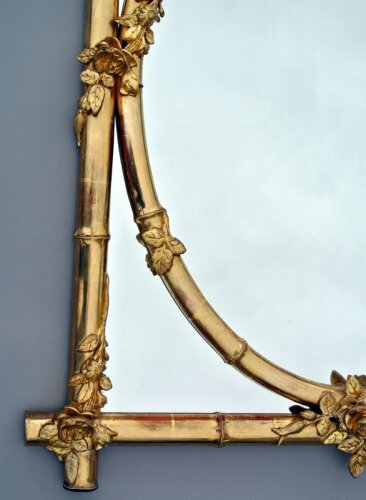 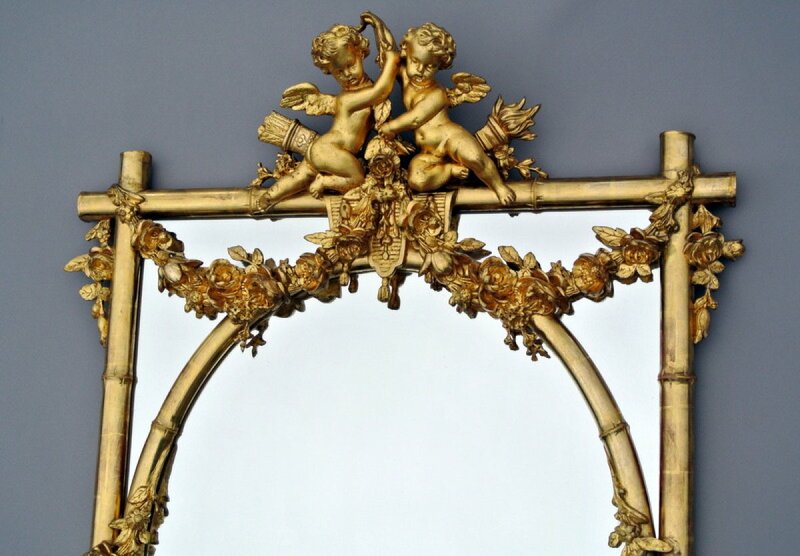 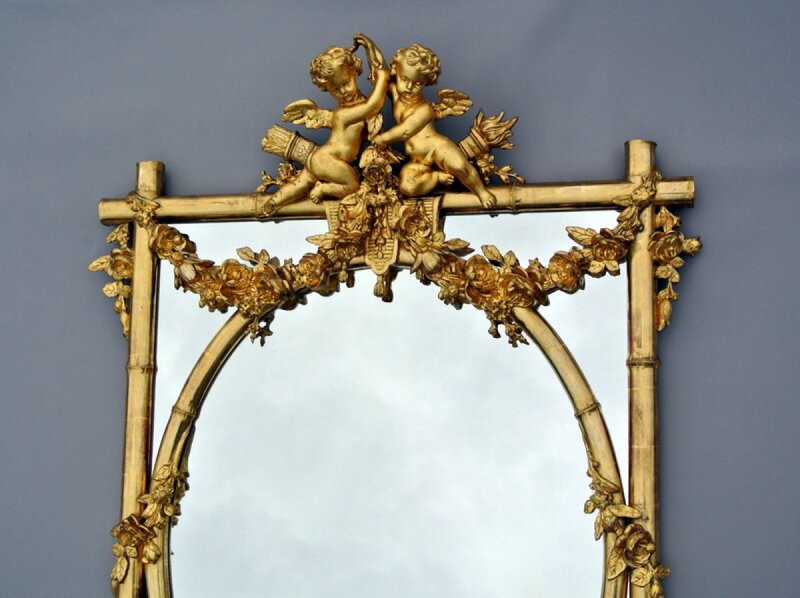 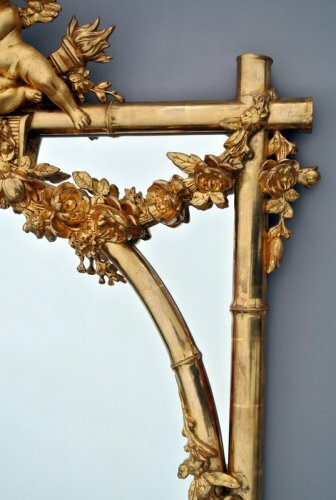 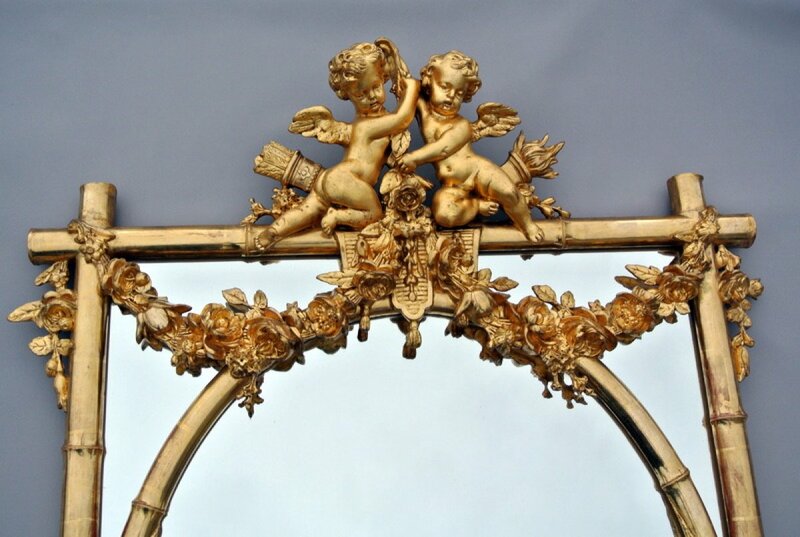 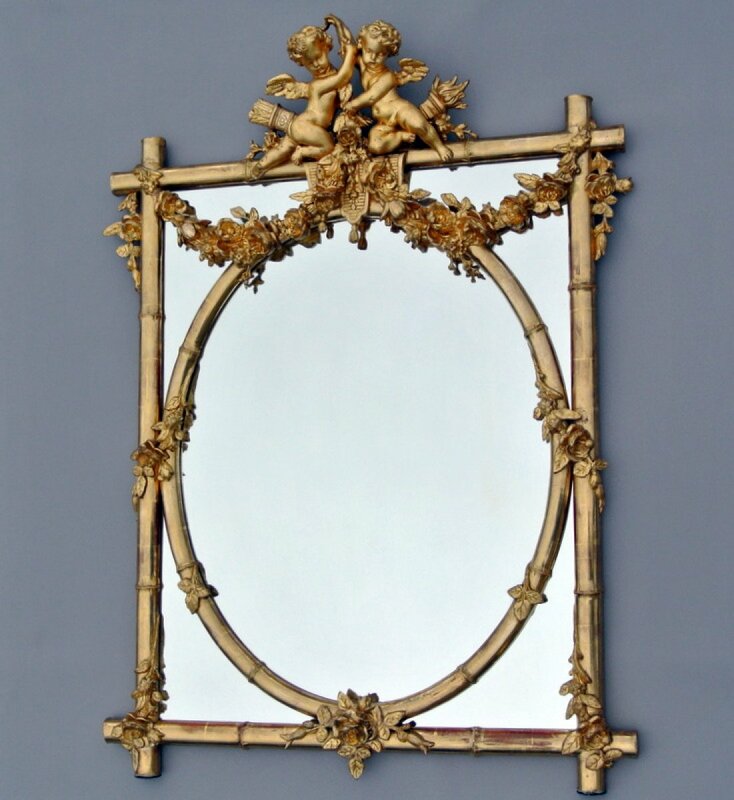 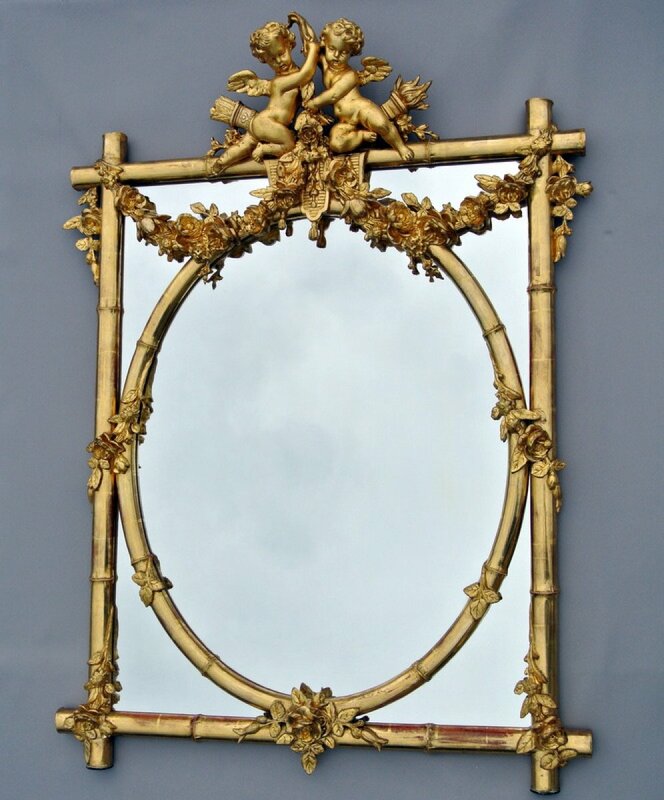 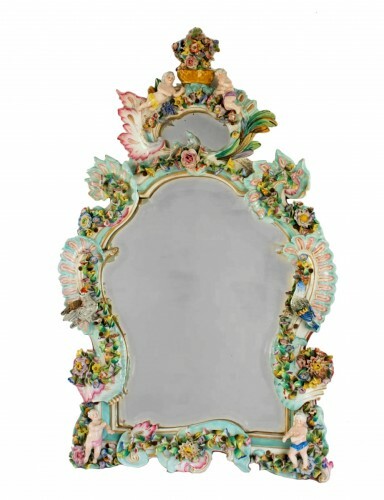 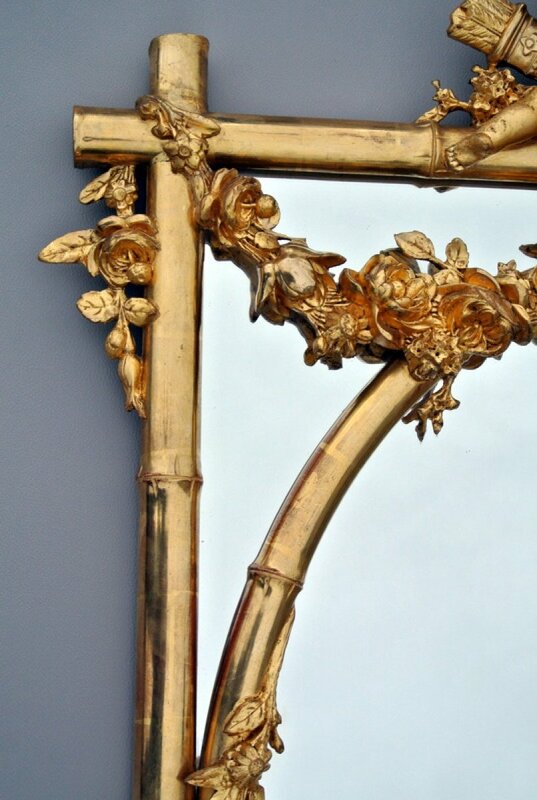 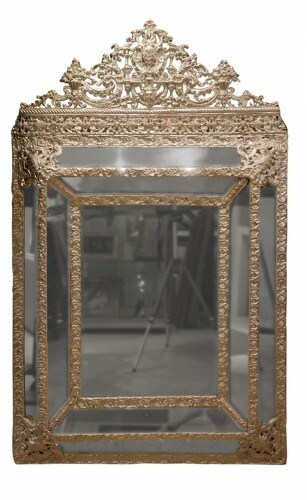 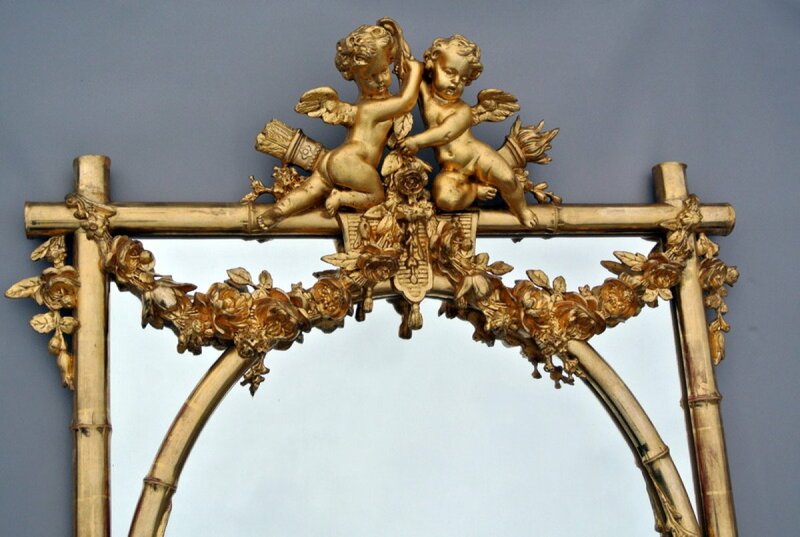 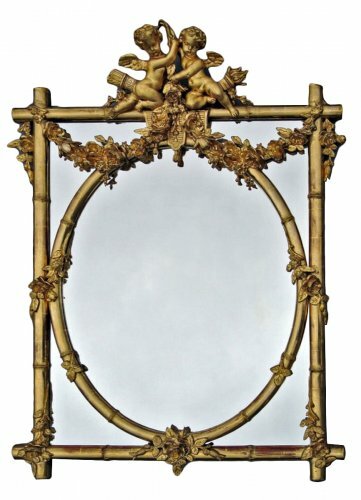 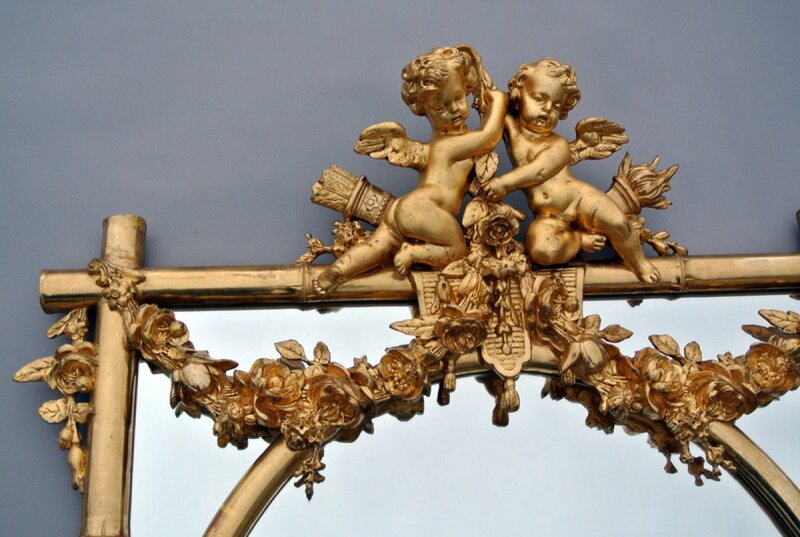 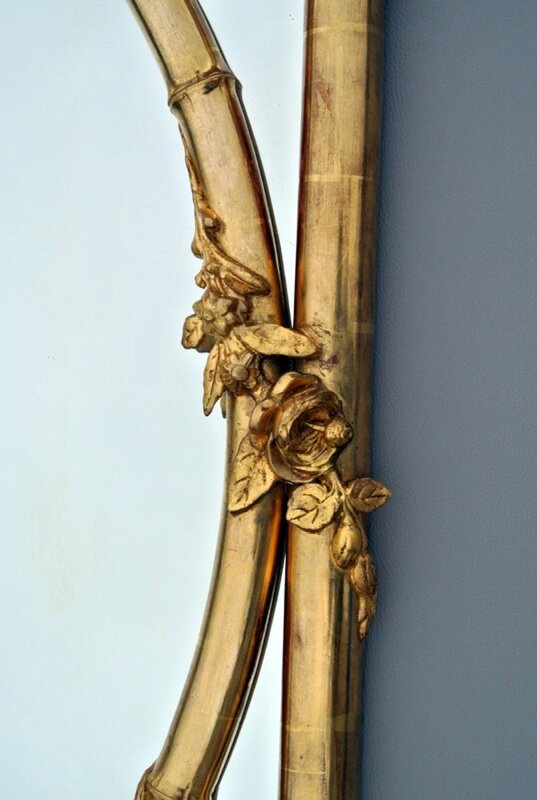 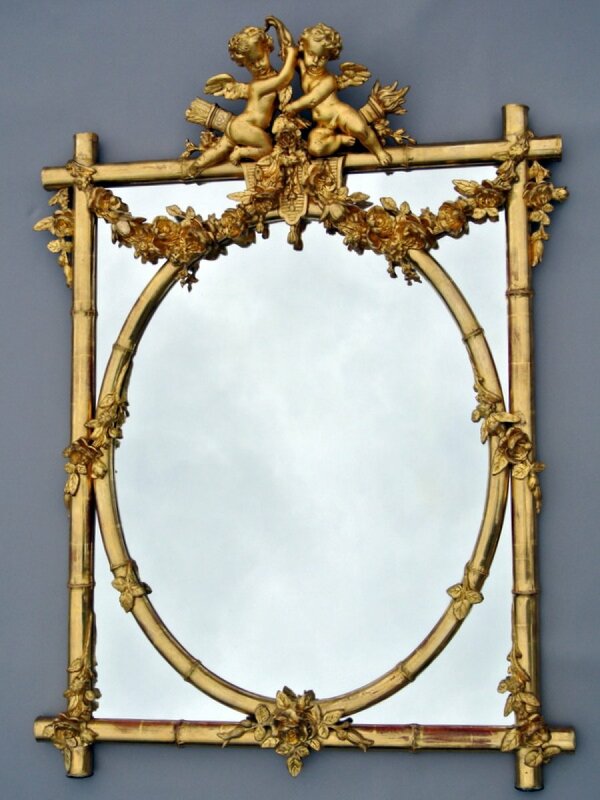 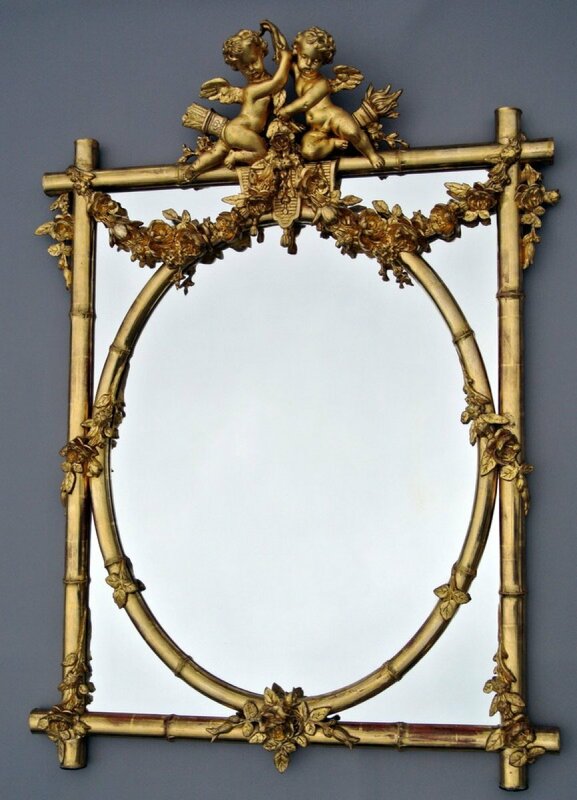 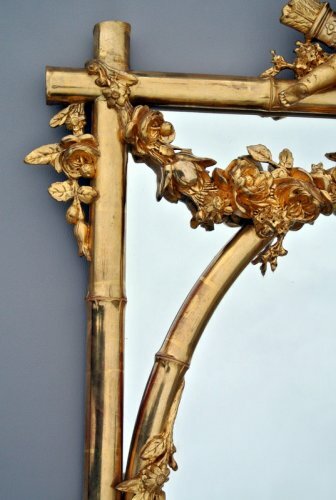 Mirror of the nineteenth century, with pediment adorned with two putti holding a garland of flowers extending over the entourage. 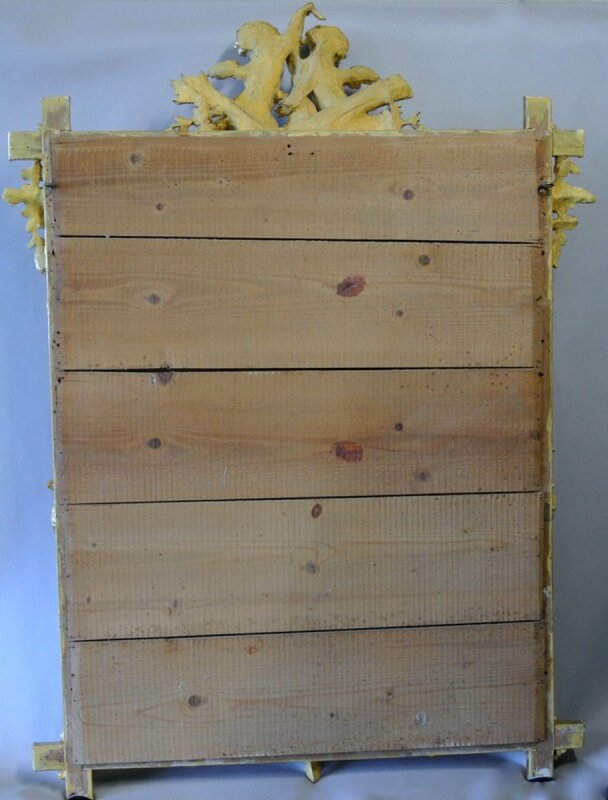 Wood framing carved in bamboo wood spirit. 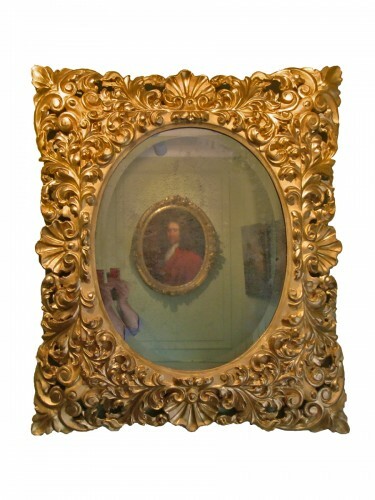 Gold foil gilding, ice and original background. Very nice general appearance, visible seniority wear in the photos. 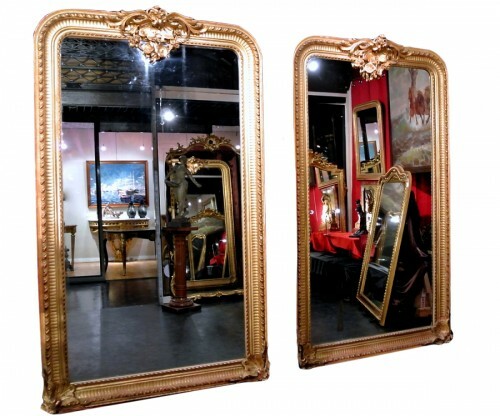 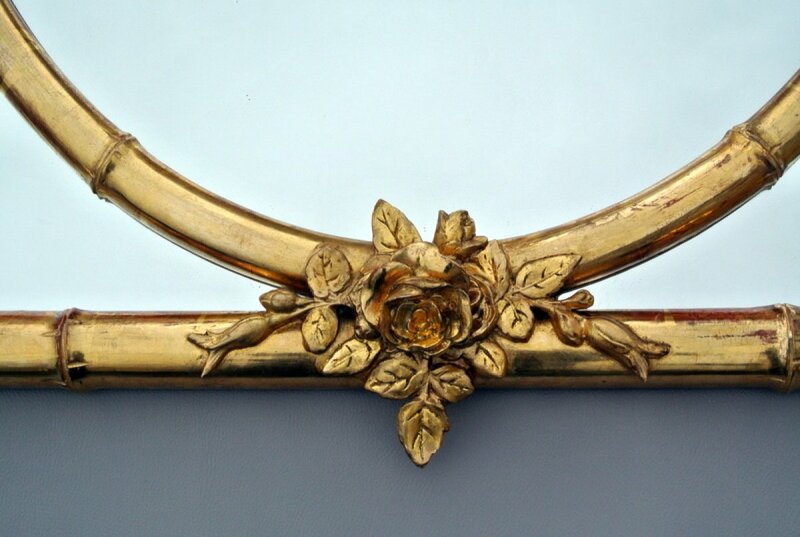 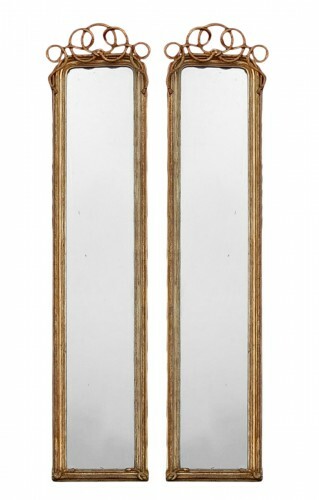 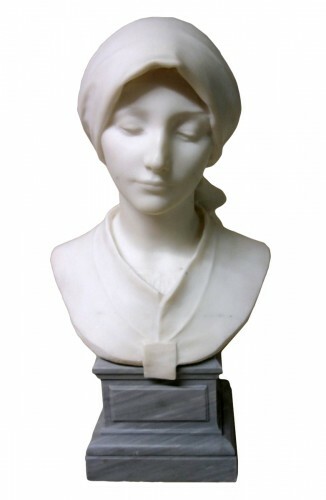 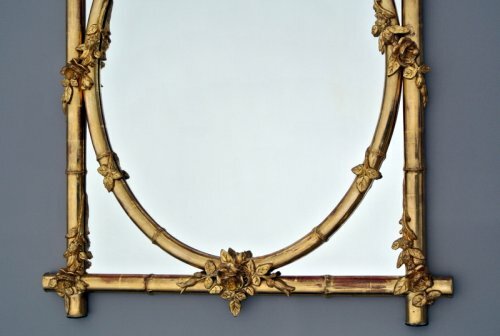 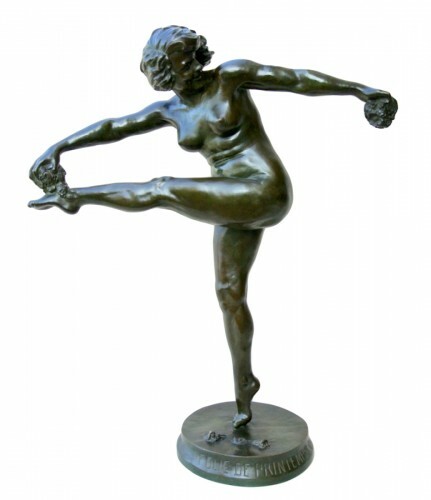 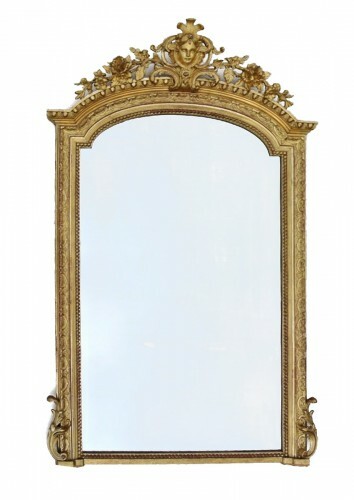 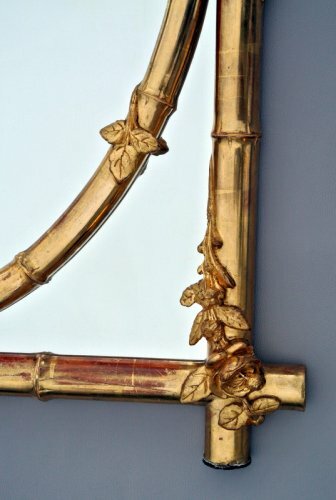 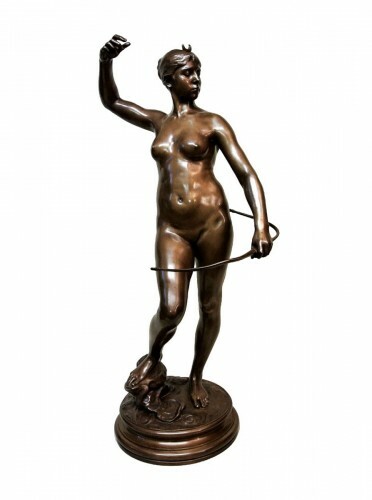 Frame width without ornamentation: 79 cm.